WHOOPS JK we got another guest art entry! This one is by Lauren Ponder, and there was no way I would be excluding this from Guest Art Week! Lauren Ponder has a webcomic called To Be A Protector! Please read it, the artwork is SUPER CUTE. 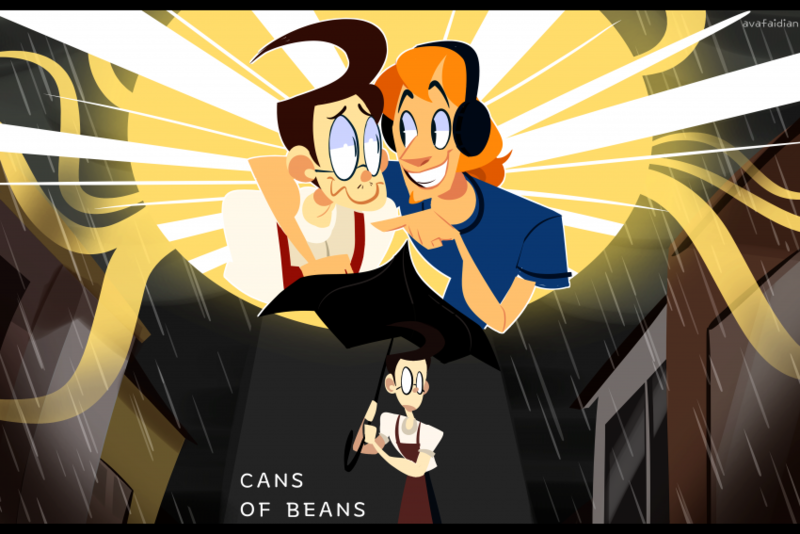 Guest Art Week is when readers and fans can make Cans of Beans-related fanart & fanfics, and I’ll post them up while my comic is on hiatus! Cans of Beans will be back by next week. Thanks everybody for your patience!